Thank you all so much for all of your help with my Master Bedroom post! You guys are such an amazing resource, full of amazing ideas and suggestions! I thought I would share a few more pictures and put my plans out there... so I can make myself get them done! This is our dining room. It was the first room done, but now I am itching to change it up. There is wall art that needs to be switched out, and I am constantly changing the tabletop decor. I can't seem to commit! I may need to get some different pillows for the window seat... and definitely some good window coverings! I don't love it, don't hate. I am thinking of painting the monogram a shiny gold, what do you guys think? I love gold on grey on walls right now. 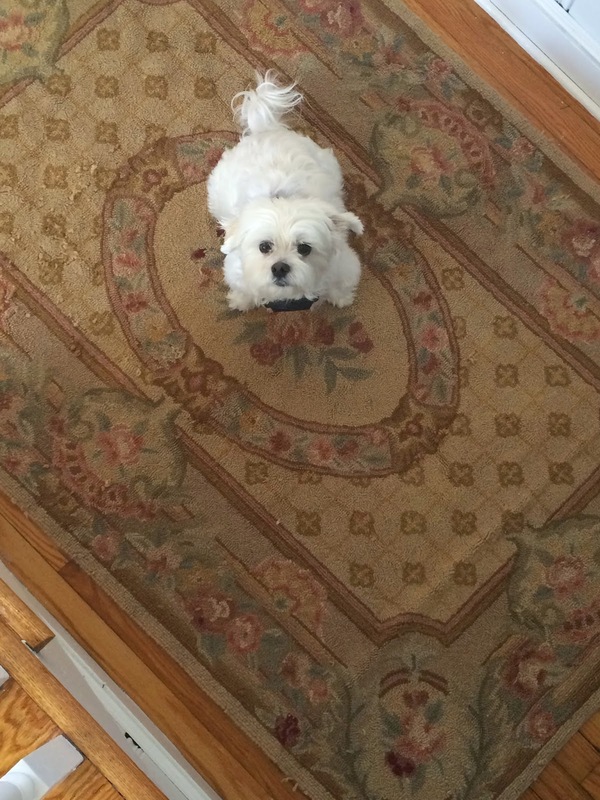 I laid the rug below (Maggie doesn't mind it) down the other day. I'm not totally sure how I feel about it there. It's an antique and I love it, I just don't know if it flows right there. I had to restrain myself from buying everything at Target the other day in the home decor section. It is ON POINT you guys. Gold bamboo, coral, everything I have ever wanted! I keep thinking about this lamp base for either our bedroom or the living room. I just don't know what shade to go for. Maybe it's time to up the prep factor and start adding in more navy! I linked all of the things I am LOVING at Target right now - and there are a lot! I was at Target the other day too and was DYING over all of their decor. I mean, wow! Your dining room is so pretty, that natural light is amazing - I think I'd get pillows that pop more. 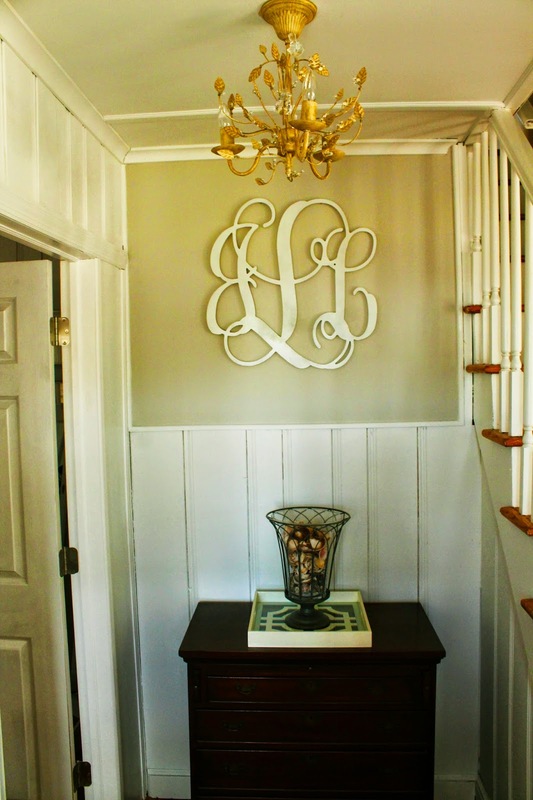 Your monogram is gorgeous and love your idea of painting it gold! i have this shade but in navy and LOVE it. 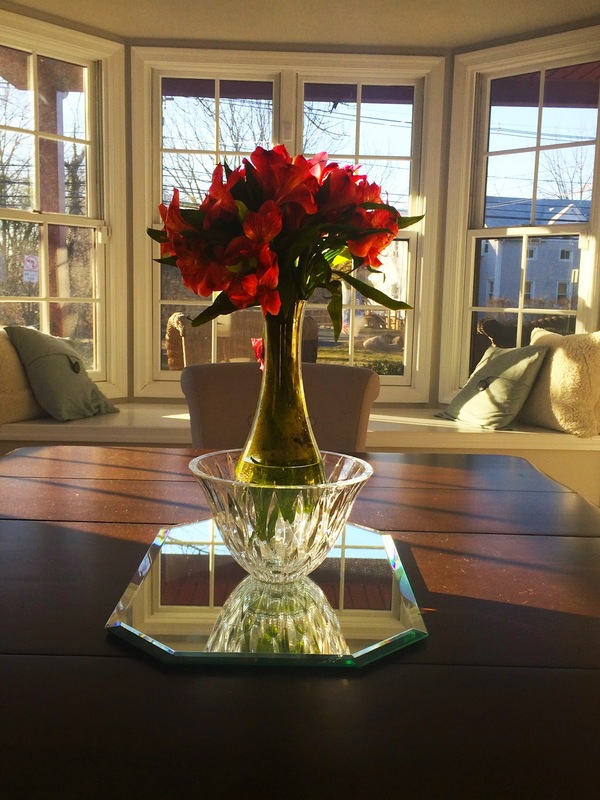 your dining room is gorgeous too - so much natural light. i'm big on gold and gray and navy... practically my whole house has it! Love these posts!! And yes Target is killing it right now! 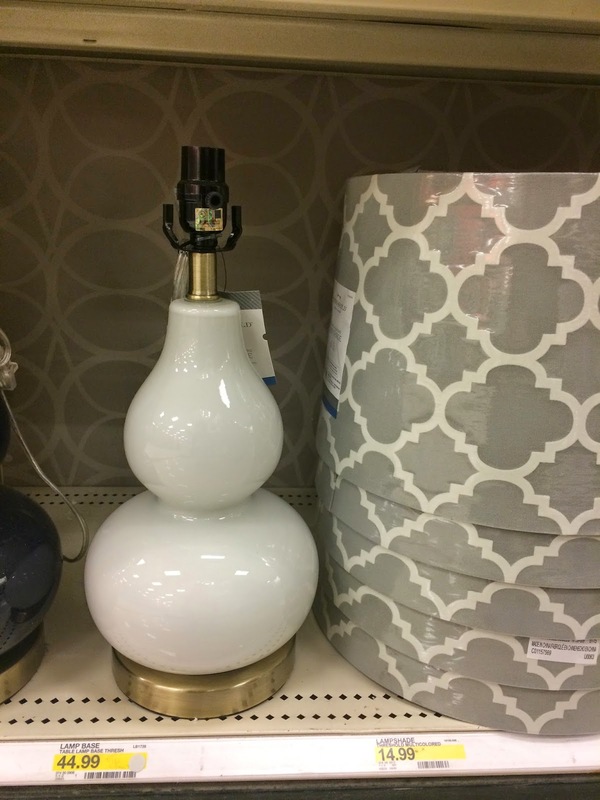 I almost bought that gourd lamp base when I was there yesterday but I just don't have a spot for it right now. I'd probably pair it with just a clean white lampshade to keep things nice and light! As for the monogram, I say maybe paint it another color because the gold might clash with your gold chandelier? Can't wait to see it all come together! Your home is so pretty!! I think the monogram would look great gold! 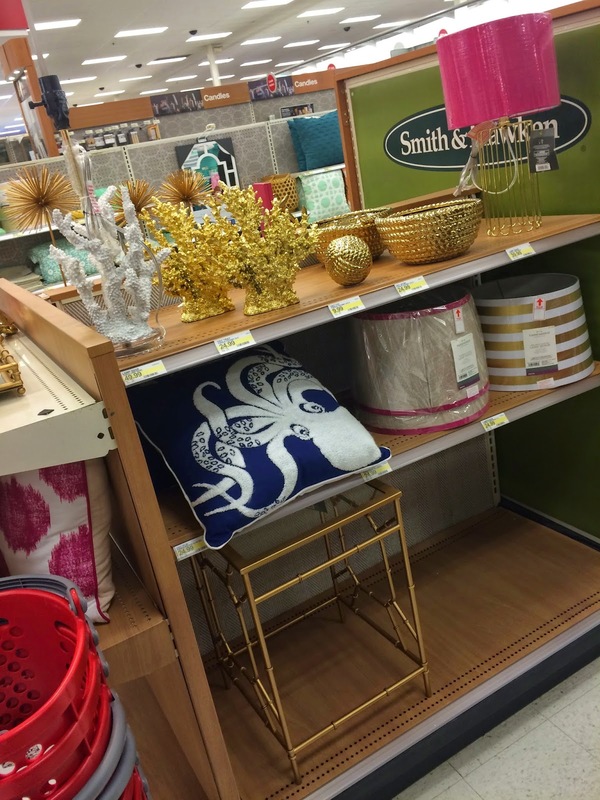 And yes, totally loving all of Target's décor lately! They are seriously killing it... and my bank account haha! Target is so killing it we their decor section. To the point I've stopped walking over there..... (; I love your monogram and think it would look lovely painted gold! Can't wait to see what you decide! Ooh I need to get to Target. I'm hoping their throw pillow selection is better than anywhere I've been thus far! I think the monogram would look great painted dark, or maybe put an empty dark frame around gold if you want to go with the metallic? Something to make it pop? Just my two cents :) Have missed you! !